† Fisher’s Exact test was used because there are some variables for which frequency is less than 5 in one group (a condition under which X-square fails to be robust). ‡ Phi values were included as a rough measure of effect size (comparable to r-square values), though max values can fall short of 1.00 or -1.00, so these are hard to interpret (Morgan et al., 2007). So… How do you treat this? Amoroso P.J. & Canham, M.L. (1999). Disabilities related to the musculoskeletal system: Physical Evaluation Board data. In B.H. Jones, P.J. Amoroso & M.L. Canham, Atlas of Injuries in the U.S. Armed Forces. Mil Med,164, 4-1 to 4-73. Belmont, P.J., Goodman, G., Zacchilli, M., et al., (2010). Incidence and epidemiology of combat injuries sustained during “the Surge” portion of Operation Iraqi Freedom by a U.S. Army Brigade Combat Team. J Trauma-Inj Infection & Care, 68, 204-210. Belmont, P.J., Schoenfeld, A.J., & Goodman, G. (2010). Epidemiology of combat wounds in Operation Iraqi Freedom and Operation Enduring Freedom: orthopaedic burden of disease. J Surg Ortho Adv, 19, 2-7. Bosse, M.J., MacKenzie, E.J., Kellam, J.F., et al. (2002). An analysis of two-year outcomes of reconstruction or amputations of leg-threatening injuries in level 1 trauma centers. N Engl J Med, 347, 1924-1931. Champion, H.R., Holcomb, J.B., Lawnick, M.M., et al. (2010). Improved characterization of combat injury. J Trauma-Inj Infection & Care, 68, 1139-50. Dohrenwend, B.P., Neria, Y., Turner, J.B., et al. (2004). 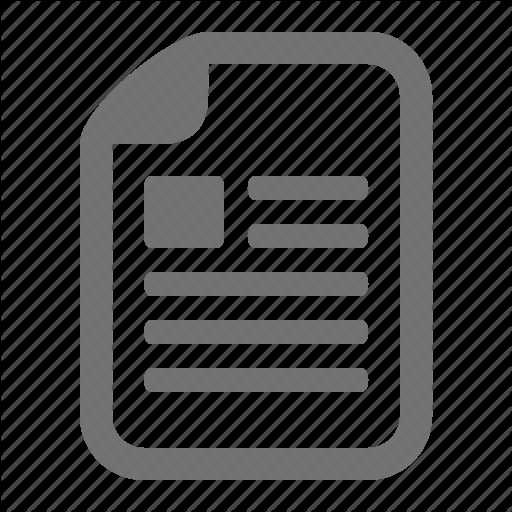 Positive tertiary appraisals and posttraumatic stress disorder in U.S. male veterans of the war in Vietnam: The roles of positive affirmation, positive reformulation, and defensive denial. J Consult Clin Psychol, 72(3), 417-433. Feuerstein, M., Berkowitz, S.M., Pastel, R., & Huang, G.D. (1999). Secondary prevention program for occupational low back pain-related disability. New Brunswick, NJ. Gatchel, R. J., McGeary, D. D., Peterson, A. L., Moore, M, LeRoy, K., Isler, W. C., Hryshko-Mullen, A. S., & Edell, T. (2009). Preliminary Findings of a Randomized Controlled Trial of an Interdisciplinary Military Pain Program. Military Medicine, 174, 270-277. Hicks, R.R., Fertig, S.J., Desrocher, R.E., et al. (2010). Neurological effects of blast injury. J Trauma-Inj Infection & Care, 68, 1257-63. Hoge, C.W., Castro, C.A., Messer, S.C., McGurk, D., Cotting, D.I., & Koffman, R.L. (2004). Combat Duty in Iraq and Afghanistan, Mental Health Problems, and Barriers to Care. New England Journal of Medicine, 351(1), 13-22. Hoge, C.W.. Terhakopian, A., Castro, C.A., Messer, S.C., & Engel, C.C. (2007). Association of posttraumatic stress disorder with somatic symptoms, health care visits, and absenteeism among Iraq war veterans. American Journal of Psychiatry, 164(1), 150-3. Lew, H.L., Otis, J.D., Tun, C., et al. (2009). Prevalence of chronic pain, posttraumatic stress disorder, and persistent postconcussive symptoms in OIF/OEF veterans: polytrauma clinical triad. J Rehabil Res Dev, 46, 697-702. Liedl, A. & Knaevelsrud, C. (2008). PTSD and chronic pain: development, maintenance, and comorbidity – a review. Schmerz, 22, 644-51. Lorduy, K., Dougall, A., Haggard, R., Sanders, C. & Gatchel, R.J. (2013). The Prevalence of Comorbid Symptoms of Central Sensitization Syndrome Among Three Groups of Temporomandibular disorder patients. Pain Practice, ahead of publication. Mayer, T.G., McGeary, D., & Gatchel, R.J. (2003). Chronic pain management through Functional Restoration for spinal disorders. In Frymoyer, J. & Wiesel, S. (Eds. ), Adult and Pediatric Spine, 3rd Edition. Lippincott, Williams & Wilkins: Philadelphia, pp. 323-333. McGeary, D.D., McGeary, C.A., Peterson, A.L., Seech, T., Vriend, C. & Gatchel, R.J. (2012). 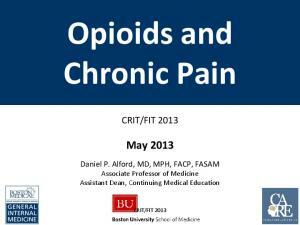 Healthcare Utilization after Interdisciplinary Chronic Pain Treatment. Part I: Description of Utilization of Costly Healthcare Interventions. Journal of Applied Biobehavioral Research, 17: 215-228. McGeary, D., Moore, M. Vriend, C.A., Peterson, A.L., Gatchel, R.J. (2011) The Evaluation and Treatment of Comorbid Pain and PTSD in a Military Setting: An Overview. Journal of Clinical Psychology in Military Settings, 18: 155-163. Morgan, G.A., Leech, N.L., Gloeckner, G.W., & Barrett, K. (Eds., 2007). SPSS for Introductory Statistics: Use and Interpretation, 3rd Edition. Psychology Press: New York, NY. Nevin, R.L & Means, G.E. (2009). Pain and discomfort in deployed helicopter aviators wearing body armor. Aviation Space & Environmental Medicine, 80, 807-10. Sharp, T. J. & Harvey, A. G. (2001). Chronic pain and posttraumatic stress disorder: Mutual maintenance? Clinical Psychology Review, 21, 857 – 877. Starr, A.J., Smith, W.R., Frawley, W.H., et al. (2004). Symptoms of posttraumatic stress disorder after orthopaedic trauma. J Bone Joint Surg Am. Zambraski, A. (2006). U.S. Army Medical Department. San Antonio, TX, Army Medicine, Office of the Surgeon General, Army Medical Department. Available at http://www.armymedicine.army.mil/news/mercury/06-08/usariem.cfm. Accessed January 3, 2006. Report "Interdisciplinary Chronic Pain and PTSD Management in a Military Population"